Want to know more about Capital Region of Denmark, Or select a region, area or city you want to study further. News and debateCapital Region of Denmark and Denmark. You can also find Motels - Restaurants - Bed and Breakfast - Dining Guide ect. or read more about Capital Region of Denmark. Capital Region of Denmark Population: 1,75 Mill. North Sealand here you will find Denmark's two largest lakes, Arresø and Esrum Lake . This is also where you will find Gribskov, which is one of Denmark's largest forest areas. And behind the north shore, you can among other things experience the beautiful heathery Tibirke Bakker . Each year Louisiana presents six to eight major exhibitions of modern and contemporary art. Copenhagen is a diverse city, and despite the city's relatively small size, the individual neighborhoods each with their own character, which it definitely is worth seeking out and experience closely. The Capital Region of Denmark is one of five administrative units in Denmark. The region provides healthcare, mental healthcare, regional development and research for 1,6 mio. people - approx. 30% of the population. The region consists of 29 municipalities from the island of Bornholm in the east to Hundested in the west. The administrative headquaters of The Capital Region of Denmark is situated in Hillerød, 40 kilometres north of Copenhagen. The region employs 36.000 people - mainly health care professionals - making it one of the largest employers in Denmark. 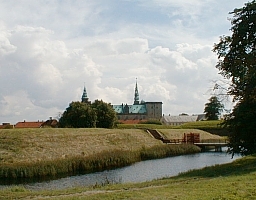 The many castles and forests are what make North Sealand so distinctive. Not surprisingly, this area north of Copenhagen has always been the favoured retreat of Denmark’s monarchs. The 60km-long Kattegat coast from Hundested to Helsingør (Elsinore) not only has some of Sealand’s best bathing beaches, but also boasts a rolling landscape of steep hills, hardy plantations and fascinating shoreside forest. Together, the Capital Region and the Øresund Region have 3.6 million inhabitants. Denmark s capital, Copenhagen, is part of the Capital Region, which has 1.6 million inhabitants. The Capital Region has a unique economic climate, and Denmark has been nominated by the Economist Intelligence Unit as the country with the best business climate in the world. The Capital Region is characterised by a flexible labour market, many strong research institutions and a well-functioning infrastructure. The labour force in the Øresund Region is the largest and best educated in Scandinavia, and the employees are some of the most highly motivated and flexible in Europe. The Oresund Region has developed a unique model for growth by bringing together regional authorities, businesses and universities from the two different countries and combining the best of Denmark and Sweden. Øresund Science Region has won the European Region Star price for supporting clusters and business networks. In North Zealand you will find Denmark's two largest lakes, namely Arresø and Esrum. This is also where you will find Gribskov, which is one of the largest forest areas. And behind the north shore you can for example see the beautiful heather-clad Tibirke Hills. Copenhagen is a diverse city, and despite the city's relatively small size, individual neighborhoods each with its own distinctive character which it definitely is worth a visit and experience firsthand. Tivoli is a must for all children and the young at heart who visit Copenhagen. Tivoli is located a few minutes walk from City Hall Square and the Central Station as its nearest neighbor, it is easy to get there. Louisiana Museum of Modern Art is located on the northern coast of North Zealand in a large park with views of the Sound from the Swedish coast. The museum's collection of contemporary art by international artists such as Arp, Francis Bacon, Calder, Dubuffet, Max Ernst, Sam Francis, Giacometti, Kiefer, Henry Moore, Picasso, Rauschenberg and Warhol. Every year, presents Louisiana six to eight major exhibitions of modern and contemporary art..
Bornholm - along with Ertholmene - Denmark's easternmost island. It lies far in the Baltic Sea between Sweden and Poland. Thanks to its location Bornholm many hours of sunshine and the special, bright lights have always attracted artists to the island. Across the bridge Knippelsbro is Christianshavn, a quite fashionable area of Copenhagen. Take a stroll along the canals, enjoy a cup of coffee at one of the many cafes along the waterfront and visit the famous Freetown Christiania. Christiania was founded in 1971 when a group of hippies took over an area of abandoned military barracks and developed their own set of rules, completely independent of the Danish government. One could say that Christiania is an alternative society within society, which also means that the darker sides of modern life are represented. Some parents advise their teenage children not to go there after dark, and tourists are advised not to take photos in Pusher Street. The region is Northern Europe s transport hub for both private and goods transport. Copenhagen Airport is one of the most efficient in Europe, and the entire region is served by a unique network of metro services, trains and roads. The Øresund Bridge, which is the fixed link between Denmark and Sweden, provides quick access to southern Sweden. Many high-technology companies are located in and around Copenhagen. Especially within IT and telecommunications, the Capital Region is one of the most knowledge-intensive regions in Denmark. In collaboration with the region s many universities, knowledge institutions and research parks, innovation companies are achieving exceptional growth rates. The Øresund Region is the Medicon Valley of Northern Europe. Medico and life sciences constitute one of the region s distinctive strengths, and the Øresund Region is one of the world s main players within pharmacology and biotechnology. There is a high concentration of universities, hospitals and biotech companies. Danish and Swedish medico and biotech scientists are among the highest ranking researchers in the world. The Capital Region has a unique concentration of both creative and technical talent within the entertainment industry. Few regions can compare with the Capital Region when it comes to film production, computer games, fashion and design, etc. The Capital Region is one of the most important metropolitan areas in Europe for foreign investments, on a par with cities such as London, Paris, Barcelona, Madrid and Stockholm. There are numerous regional headquarters in the region, and its unique geographical location provides a central platform for all of Northern Europe and the Baltic region. The Capital Region is an attractive place to live and work in. Copenhagen is a peaceful city, offering a wealth of cultural and recreational options that are enjoyed by tourists and residents alike. Consequently, Copenhagen is also attractive for foreign companies and employees.